Posted on 05/16/2017 at 3:11 pm. 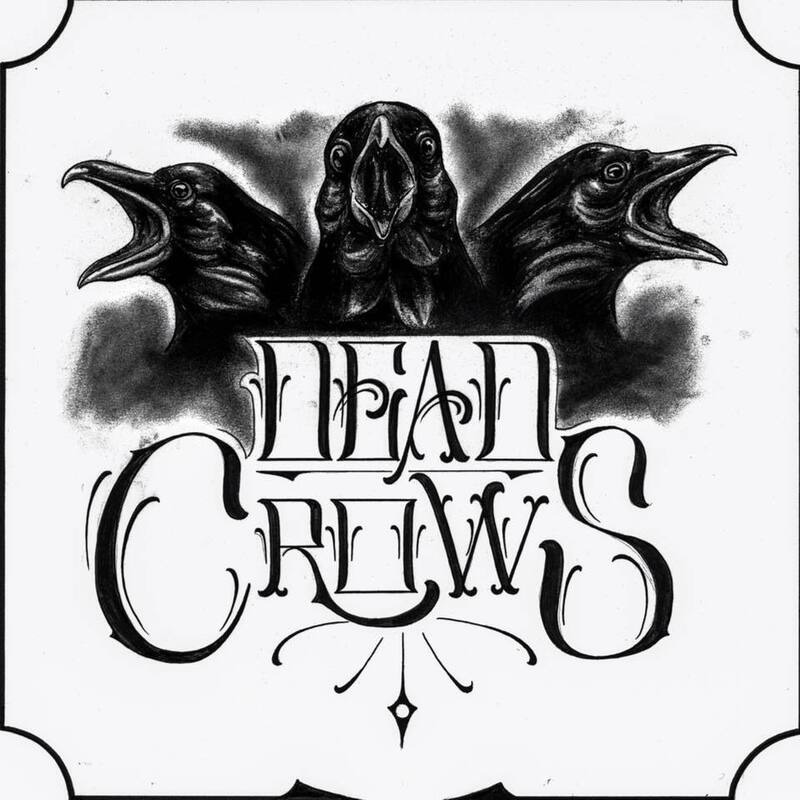 French hard rock power trio Dead Crows have just recently issued their limited release self-titled, full-length debut and it has quickly been building up steam. If you are unfamiliar with this rising act then you need to rectify that mistake right now by checking out their official video for ‘Wild Gun’s Soul‘. The trio at the heart of Dead Crows, Matt “Dynamite” Berg, Oliver “Piv” Casu and Rudy “Fat Bass” Berg, are all established players from the band Nightmare but now they’re branching out. As Dead Crows, the trio blends amazing heavy rock grooves, powerful rhythms and bluesy vocals for a sound that would result from a mix of Thin Lizzy and Danko Jones. The debut from Dead Crows is available now from Wake Up Dead Records and KNT Music along with regular digital outlets iTunes, Deezer and Spotify. Posted on 05/13/2017 at 9:57 am. Asheville, North Carolina’s Bask are proudly premiering their brand new Official Video for ‘A Graceful Shuffle‘. The track hails from the southern-infused alternative rock band’s latest effort, Ramble Beyond, and offers some solidly enthusiastic rock music. 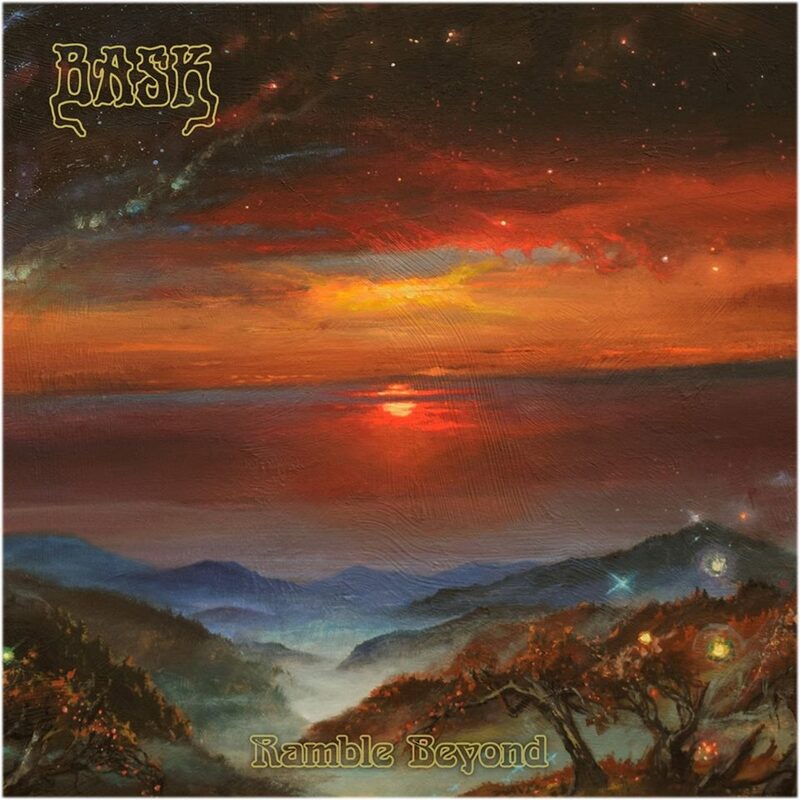 Ramble Beyond was released on CD and Digital formats on March 24th but Bask are gearing up for the vinyl edition’s release on May 19th via Self Aware Records. To celebrate the imminent availability of that vinyl format, Bask will embark upon a handful of live dates to serve as their official Record Release events. You can find those planned live excursions listed below along with their just announced inclusion on this year’s Starkfest 2017. That two-day event will be held in Greenville, South Carolina and will see Bask join other amazing bands like Waft, All Hell, Swallow The Sky, Midmourner, Come To Grief, Crawl and many others. You can find details, information and line ups for Starkfest 2017 here and order Bask‘s Ramble Beyond at this location. Posted on 05/13/2017 at 7:39 am. Posted on 05/12/2017 at 3:18 pm. “Paralyzer” will see official release on June 16th but will be available this Sunday, May 14th at the band’s special event show with Conan, North, and Serial Hawk at Highline on their home turf of Seattle as part of the venue’s seven-year anniversary series. 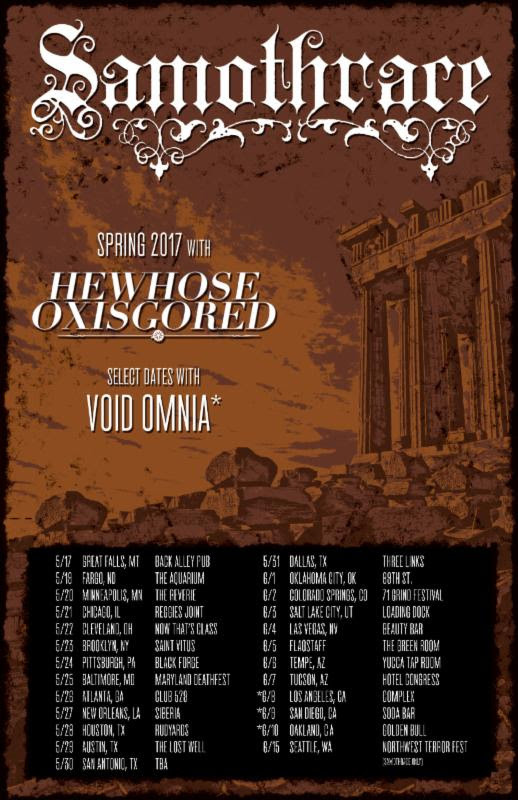 The seven-inch will also be available throughout He Whose Ox Is Gored‘s US tour with Samothrace from May 17th through June 10th. The trek includes performances with Void Omina, Noothgrush, and Graves At Sea on select dates. See all confirmed shows below. Posted on 05/11/2017 at 3:49 pm. Infectious modern Alt. 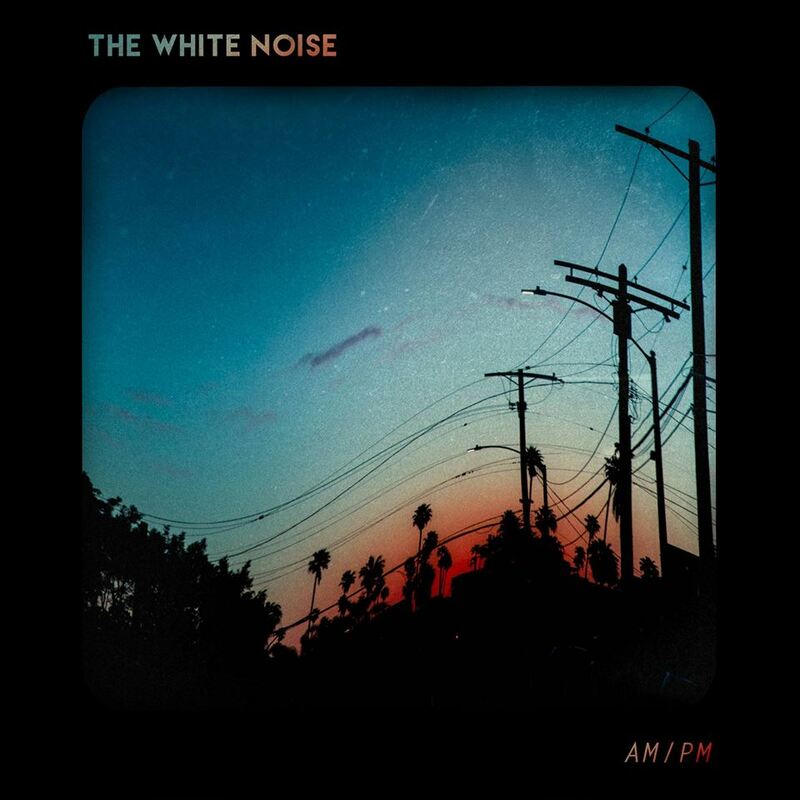 Rock band The White Noise are excited to premiere their new Official Video ‘Bite Marks‘ today. The song hails from the band’s upcoming full-length debut album AM/PM, set to release June 23. Produced by Drew Fulk (Motionless In White, Crown The Empire), the album is sure to resonate well with fans of modern rock bands across the board. 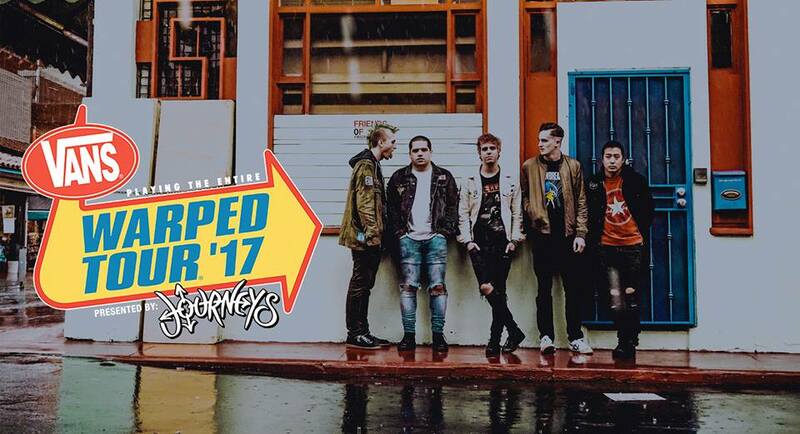 To celebrate the album’s release, The White Noise has planned a busy summer ahead as they will be part of the Vans Warped Tour 2017. The band will playing the entire tour on the Skullcandy Stage from June 16 through August 6. Find all the details and tour stops here. Posted on 05/09/2017 at 3:28 pm. As other members of Mastodon have actively stepped into involvements in outside projects like Troy Sanders (Killer Be Killed, Gone Is Gone) or Brent Hinds (West End Motel, Giraffe Tongue Orchestra), drummer Brann Dailor has now followed suit. 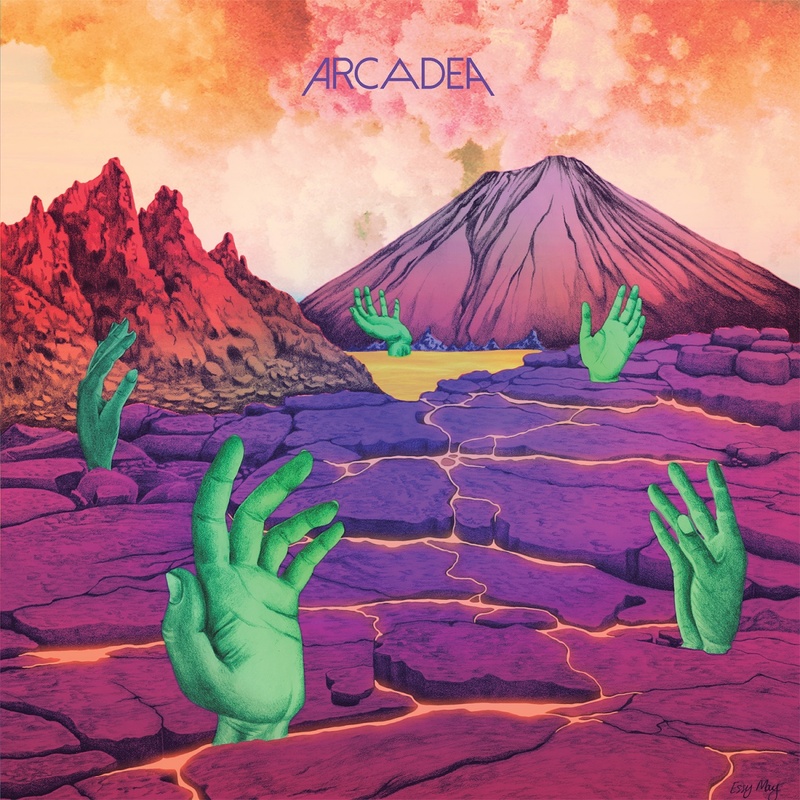 Arcadea was born when Brann Dailor teamed up with upside-down guitarist and keyboardist Core Atoms (Zruda) to create a synth-laden progressive, heavy psych band. The duo soon added guitarist Raheem Amlani (Withered) on synth and the three recorded their synth odyssey outing at Orange Peel Studios in Atlanta, GA.
June 16th will see the worldwide release of Arcadea‘s self-titled debut album on CD/LP/Digital via Relapse Records. It was mastered by Colin Leonard and features cover art from renowned sci-fi fantasy artist Essy May. Today we are sharing the audio-only stream of a song from the album titled ‘Infinite End‘ below. Posted on 05/09/2017 at 11:03 am. 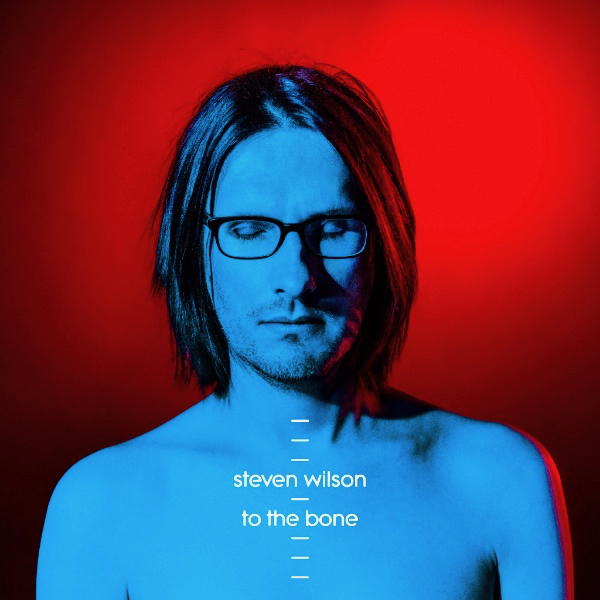 Brilliant multi-instrumentalist and musical genius Steven Wilson (Porcupine Tree, Blackfield) has announced details of his upcoming fifth album, ‘To The Bone‘. 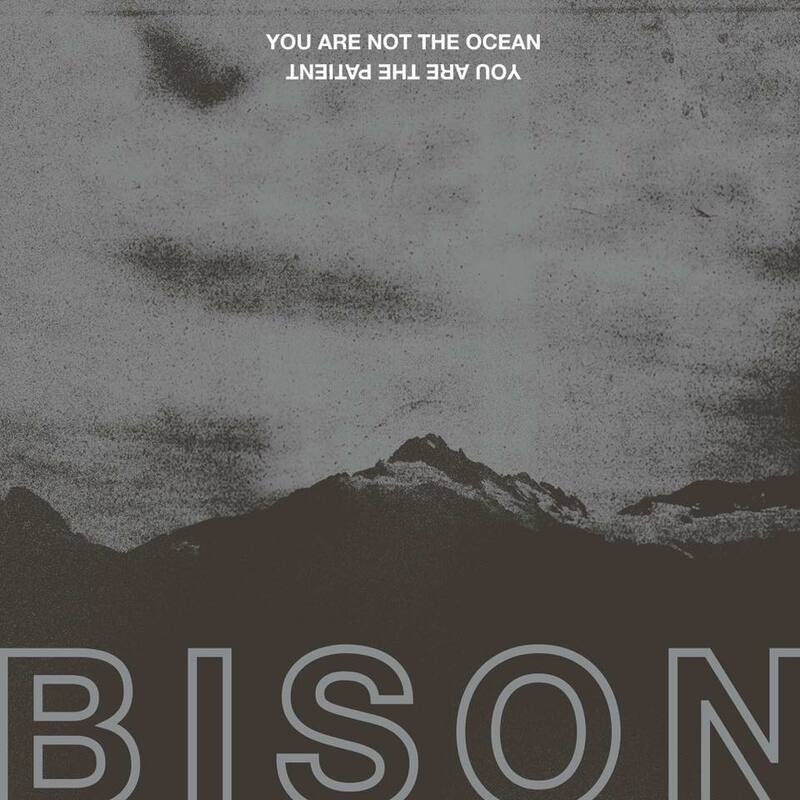 To herald the release, which is set to be released August 18th, Wilson has shared the new song “Pariah”, available for streaming below. The follow up to 2015’s Hand. Cannot. Erase., To The Bone is Steven Wilson’s first album since signing with Caroline International (Iggy Pop, Underworld, Thurston Moore, Glass Animals). Steven Wilson will embark on a major 2018 UK tour, including a return to one of the country’s most iconic venues – the Royal Albert Hall. U.S. tour plans are also being finalized and further details of both will be made public soon. Posted on 05/08/2017 at 4:44 pm. The anxiously awaited return of occultic, doomened psyche entity Sabbath Assembly is upon us all. The band’s first new album since 2015, ‘Rites Of Passage‘, will be released by Svart Records on May 12th. Today, we are pleased to present you the new song ‘Angels Trumpets‘ where you can hear hints of the band’s turn toward a more progressive rock direction musically. 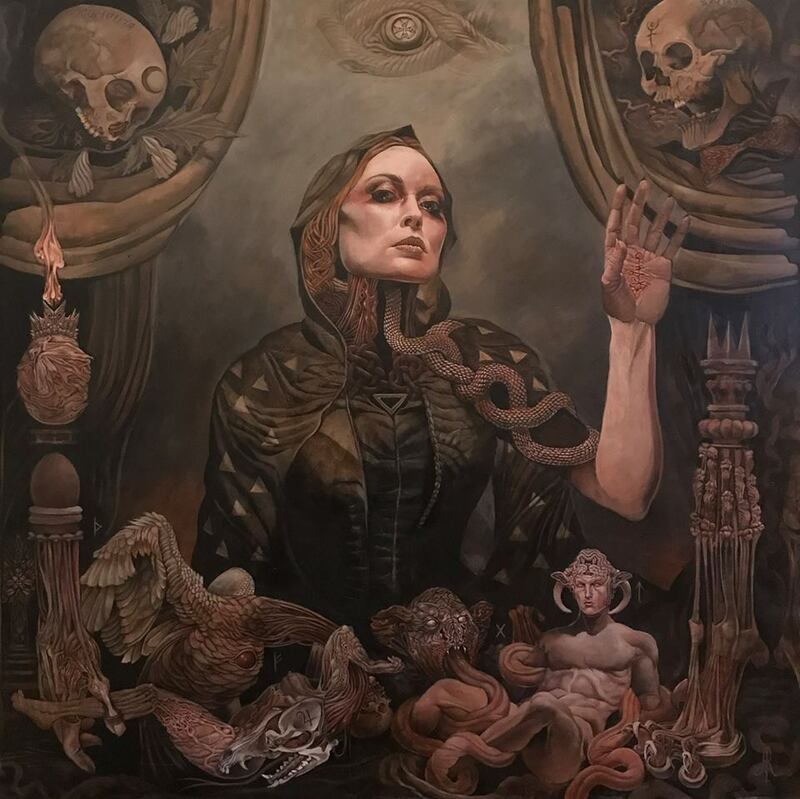 Led by vocalist Jamie Myers (ex-Hammers of Misfortune), Sabbath Assembly circa 2017 features guitarist Kevin Hufnagel (Gorguts, Dysrhythmia), along with original Sabbath Assembly drummer Dave Nuss and returning bassist Johnny Deblase. There has been a new addition to the band with second guitarist Ron Varod (Kayo Dot, Psalm Zero, Zvi). Sabbath Assembly‘s ‘Rites Of Passage‘ is available for pre-order/purchase here. Posted on 05/08/2017 at 11:35 am. Miami, Florida’s progressive rock band Cave Of Swimmers will see things become quite busy for the band in July. On July 3rd, the duo will release their brand new single “The Sun” on a 7″ vinyl record via Southern Druid. The “B” side of the record features the song “Hangman” (from their self-titled debut) recorded live at Psycho Las Vegas 2016. Also that same month, Guillermo Gonzalez-Perez (Vocals, Guitar, Synth) and Arturo Garcia-Ribbi (Drums, Vocals) will take Cave Of Swimmers on the road again in the U.S.
All of the upcoming tour dates are below along with the band’s visualizer for ‘The Prince Of The Power Of The Air‘ from 2015’s Reflection. Posted on 05/08/2017 at 8:56 am. The roots of Cleveland, Ohio’s Contra are deeply connected to a bevy of bands that the members either are in currently or were in previously. 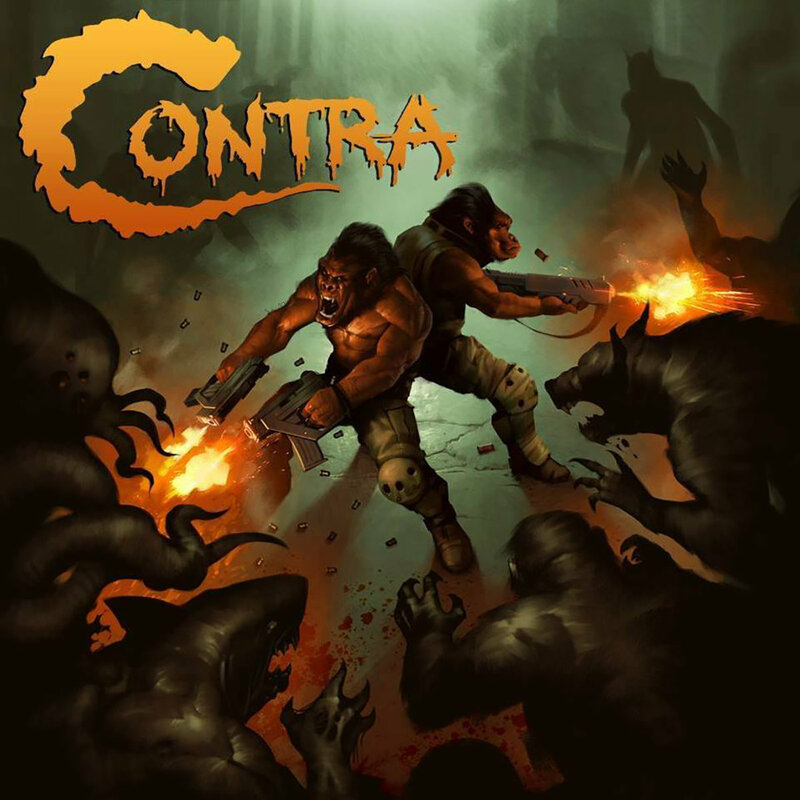 In fact, Contra itself originally started as the instrumental trio of guitarist Chris Chiera (Sofa King Killer), drummer Aaron Brittain (ex-Rue) and baritone guitarist Adam Horwatt (So Long Albatross). That line up recorded a demo, Son Of Beast, that revealed the guys’ style of blended metal, blues, rock, and sludge but still, something was missing. Enter vocalist Larry Brent of such acts as The Unholy Three, Hatchet Job, Don Austin and Splinter. Then, after only three shows of the quartet playing together, Larry began recording vocals to eight of the ten tracks of what would become the Contra debut, Deny Everything. Deny Everything will be released by Robustfellow Productions and Shifty Records on July 1st. It was recorded in Cleveland at Bad Back Studios and mastered at Cauliflower Audio. Today, we are presenting you the new track ‘Snake Goat‘ below and after you’ve enjoyed it, you can check out three more songs from the ten-tracker further on down.